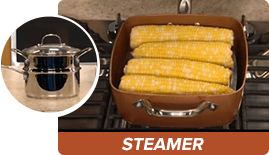 From Stovetop, To Oven, To Table! 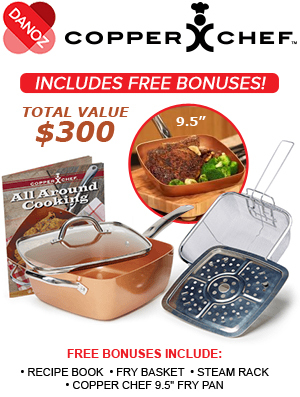 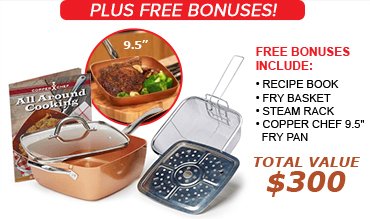 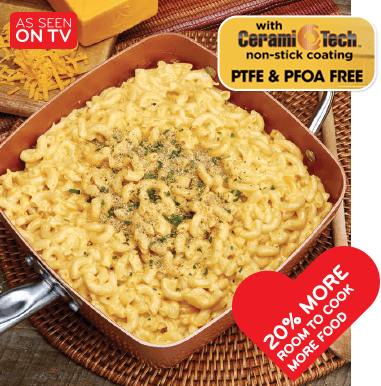 Cook Up To 20% More Food At Once! 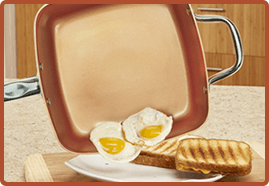 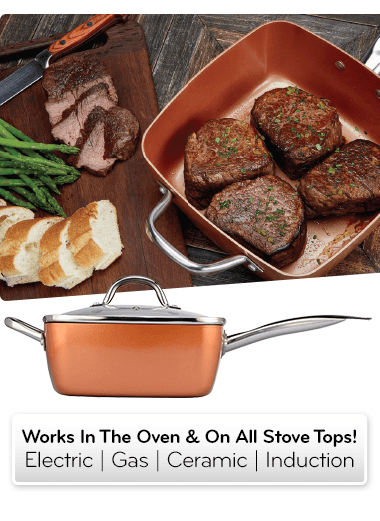 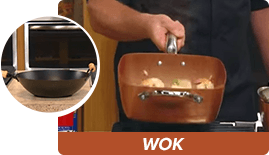 Prep, Cook, & Serve In 1 Family-Sized Pan! 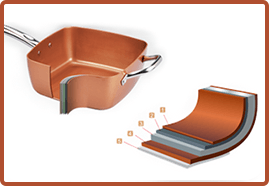 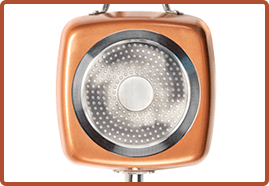 The innovative square design of Copper Chef lets you cook up to 20% more food than traditional round pans, saving you time & money! 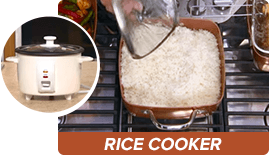 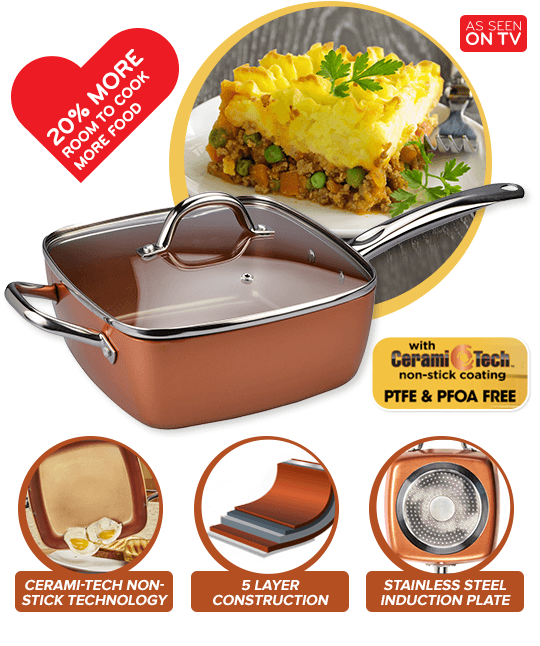 100% Non-Stick Ceramic Coating - Crafted with the highest-quality materials for superior heat conduction! 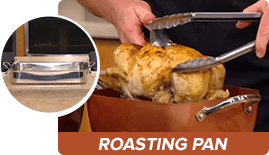 Heat Resistant Up To 454° - Sear meat in a flash! 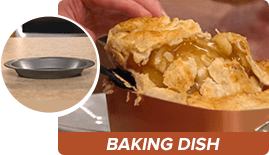 Dishwasher Safe - No more boiling, straining, scrubbing, or scraping. 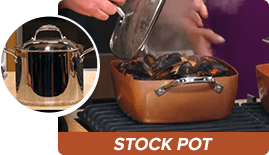 Replace All These With One Non-Stick, Easy Clean Pan!